Don't throw out that old antique chair or couch just because you think the damage and disrepair makes it hopeless! At Imperial Custom Upholstery, LLC in Phoenix, Arizona, we turn back the hands of time with our custom antique upholstery repair options. When you require antique furniture restoration in Phoenix or the surrounding towns and cities, you can always turn to our upholstery company for the best solutions at affordable prices. Other furniture restoration companies simply cannot compete with the superior workmanship, quality, and prices that we have to offer. At our company, we focus on restoring your furniture back to the pristine condition you desire without sacrificing the quality of the piece. We bring old pieces of furniture back to life for customers in Phoenix, Scottsdale, Mesa, Chandler, Gilbert, Glendale, Goodyear, Cave Creek, Carefree, and Peoria, Arizona. Where Can You Find Local Antique Upholstery Repair? Keep your favorite pieces of antique furniture looking like the day they were made thanks to our antique upholstery repair services. We have the knowledge and expertise to make the most of your furniture and fix any damages due to accidents or the passage of time. 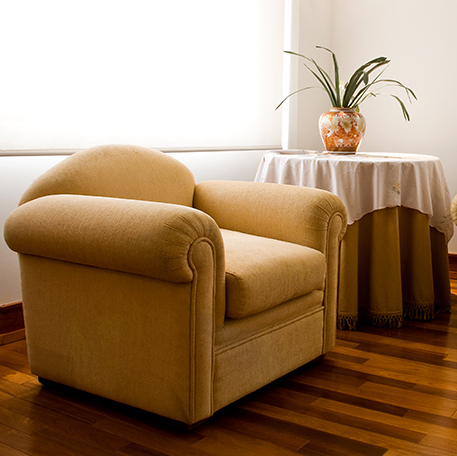 Let us repair minor damage or find the best replacement upholstery for major replacements. You'll never tell the difference once we have completed our antique upholstery repair services. No matter what era your furniture comes from, we can repair it! From restoring and rejuvenating broken chair legs to selection of new fabrics, we have the skill & talent to revitalize your old, antique furniture. So call us today & speak with someone from our company on a price quote for restoration work. You can always count on us to revive the damaged pieces in your collection. We focus our talents on furniture from all popular eras in order to remain competitive with the other furniture restoration companies. With our knowledge of furniture history and state-of-the-art restoration tools, your antique piece is in good hands at our company. Contact us today for antique furniture restoration services. We provide antique upholstery repair for customers in Phoenix, Scottsdale, Mesa, Chandler, Gilbert, Glendale, Goodyear, Cave Creek, Carefree, and Peoria, Arizona.